Brisbane, Nov 18 (IANS) India's head coach Ravi Shastri on Sunday said all-rounder Hardik Pandya will be missed during the tough Australian tour starting from Wednesday as he provides proper balance to the side. 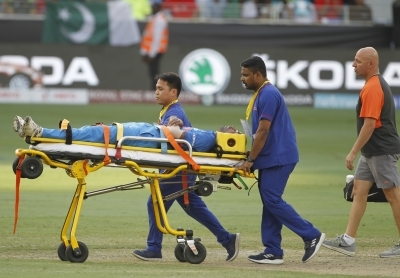 Hardik had suffered an acute lower back spasm during the game against Pakistan in the Asia Cup and is currently recovering. "I think one player who we will certainly miss in the squad is Hardik Pandya who is sidelined due to an injury. Pandya lends balance to the side because of his ability to operate as a bowler as well as a batsman which allows us to play an extra bowler," Shastri told reporters here. "We will be forced to think twice with regard to team selection as a result of his absence. Hopefully, he will get fit soon. However, if the fast bowlers perform well, we might not miss him as much," he added. Shastri also said there is no weak team in the home conditions. "I don't think so. I always believe no team is weak at home. We might have three or four players not playing when a team comes to India but God forbid if anyone says it is a weak Indian team because you will be surprised," the coach said. The former cricketer then went on to praise his bowlers and said if his bowlers remained fit they will certainly enjoy the conditions here. "The seamers will certainly enjoy bowling on these pitches. It is important to stay fit as a unit to ensure the best performances on the field," he said. "It doesn't matter which lineup we will be playing against as long as the bowlers are consistent. "In the past, we witnessed one or two bowlers performing well in spells, but as a unit bowling for three, four, five hours with sustained intensity and discipline. If the bowling attack can ensure the same, any lineup fielded by the opposition will be tested," he added.